The boxes made by the Herseys basically were made of the same materials the Shakers used . . . maple sides, pine top and bottom fastened with wooden pins, and copper or iron tacks to fasten the laps. But, there are only four points fastening the top and bottom to a Hersey box. 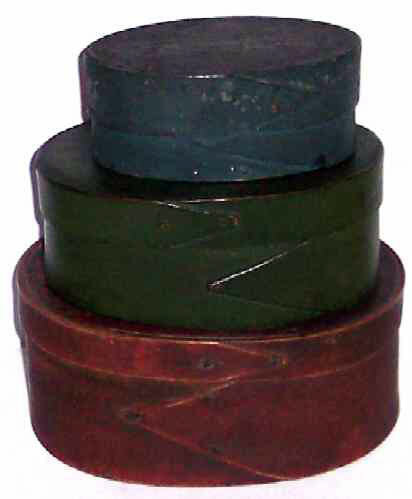 Shakers will have more points and will most often be copper, not wooden. 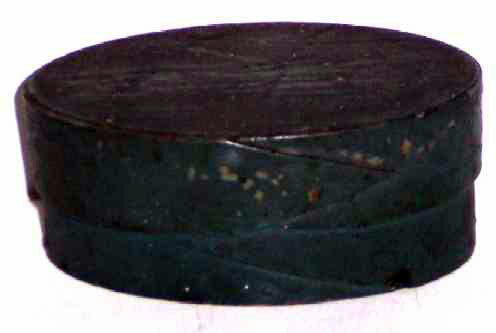 The oval Hersey boxes are more rectangular than the Shaker boxes and the inside seam is not fastened with a tack at the upper corner as are the Shaker examples. That being said . . . Here we have three Hersey boxes from Hingham, Massachusetts (Called "Bucket Town"in the 1800's because of the production of woodenware that came out of that area in the 1800's. ) While these boxes with opposing laps are often called "Harvard Shaker" they are not Shaker but more likely Hersey made. 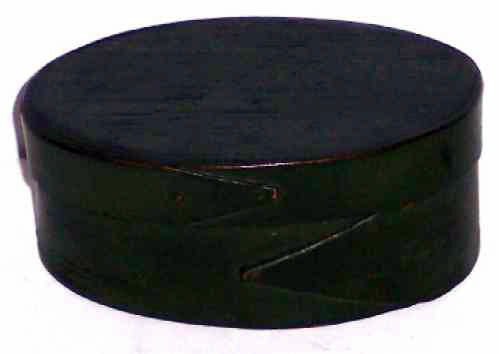 The extremely fine quality of workmanship of the woodenware made by the five generation Hersey Family of Coopers, from the early 1700 s until the late 1800 s, often leads to confusion between their wares and those made by or attributed to the Shaker communities. 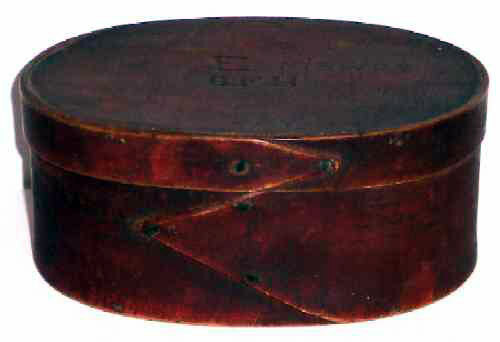 As June Sprigg has written in Shaker Woodenware, "We frequently see oval boxes with single large fingers called "Harvard Shaker" on the market, but we have not seen proof that any such boxes were made by the Shakers in Harvard, Mass. or anywhere else. Neither have we seen a Shaker box on which the lid and side fingers point in opposite directions . . . "